Roman Rostomyan (left) and Samuel Jo (right) were No. 2-ranked swimmers in three combined events as part of the 2018 All-Americans listings. 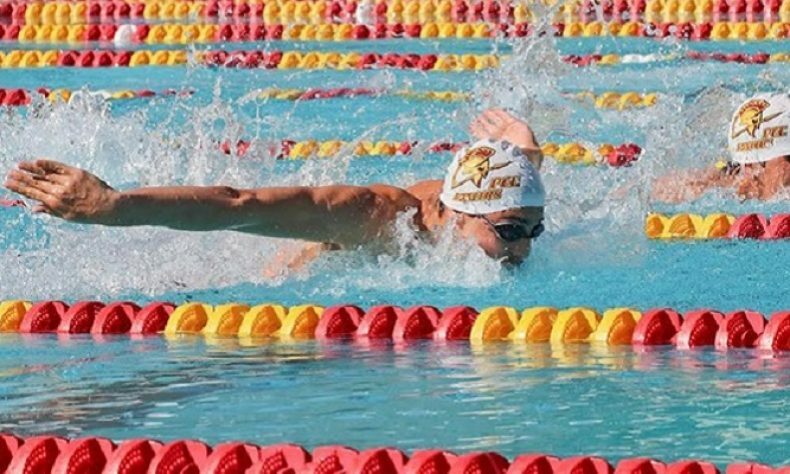 Pasadena City College was well-represented on the 2018 All-American men’s swimming listings, earning 15 spots including 12 that were state top 5 marks. 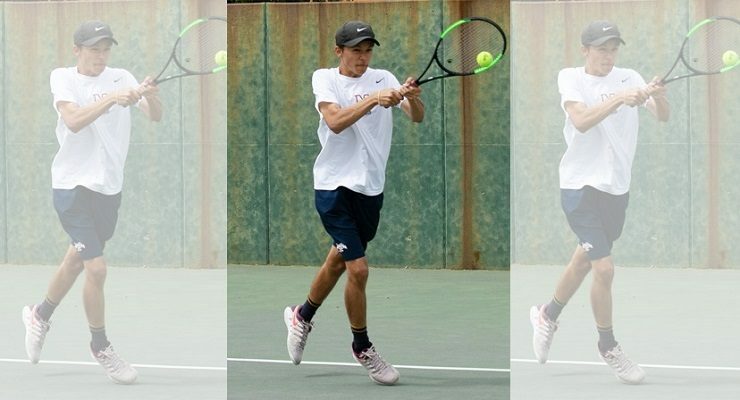 Sophomore Samuel Jo, recently named PCC Men’s Athlete of the Year for all 2017-18 sports, was No. 2 in both the 100 and 200-yard backstrokes as he broke his own school records in those events. Jo swam 50.02 to win the 100 backstroke state title, but was only slightly behind Orange Coast’s Hayden Hemmens 49.93 (performed at his conference’s championships). Jo went 1:48.27 in the 200 back. He also was 11th best in the 200 freestyle at 1:42.64. 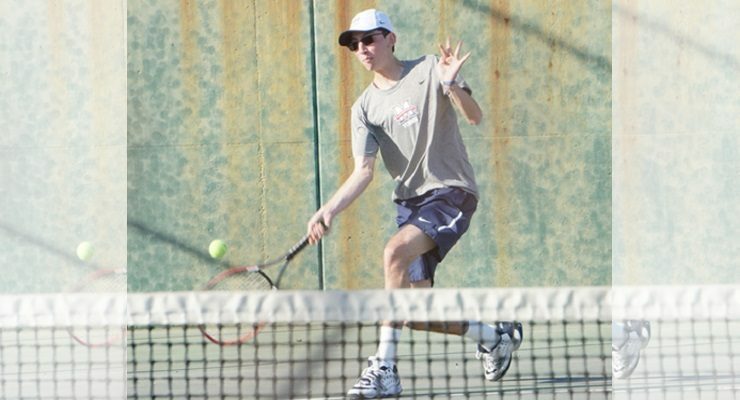 Freshman Roman Rostomyan was No. 2 in the 200 butterfly at 1:50.92 and fourth in the 100 butterfly with a school-record 49.49. College rookie Ryan Wang swam No. 3 in the 400 individual medley (4:01.68), No. 5 in the 200 IM (1:53.44) and No. 6 in the 200 breaststroke (2:04.88). Wang set school records in the two IMs and is now second on the PCC all-time list in the 200 breaststroke. Letterman Sydney Odent performed a trifecta of No. 4 listings in the 400 IM (4:02.39), 500 freestyle (4:37.43) and 1,650 freestyle (16:20.93). Jo, Wang, Odent and Rostomyan recorded four All-American relay swims with a school record in the 200 medley relay (1:35.22), which was only good enough for No. 7 in that event. PCC had the third fastest state time in the 800 freestyle relay (6:52.91), No. 4 in the 400 freestyle relay (3:08.45), and No. 5 in the 400 medley relay (3:25.61). Between men and women, PCC head coach Terry Stoddard guided a total of 24 All-American swims, the most in one year ever since taking charge of the Lancers aquatics program in the 2000 season. Six times, Stoddard has coached the PCC Men’s Athlete of the Year including a streak of four straight from 2008-2011. He has also directed nine state men individual champions and nine male SCC Swimmers of the Year.